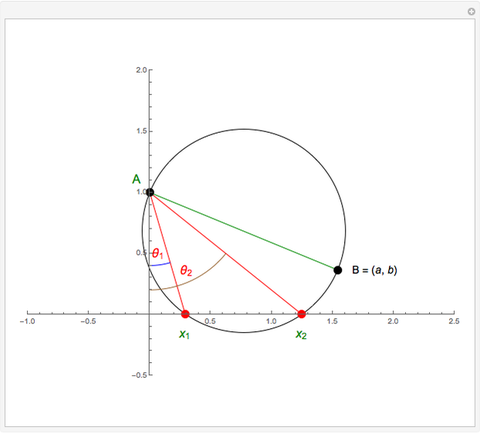 This Demonstration shows the geometric solution of the quadratic equation using Carlyle's circle. The Carlyle circle of the quadratic equation is the circle with diameter , where and . 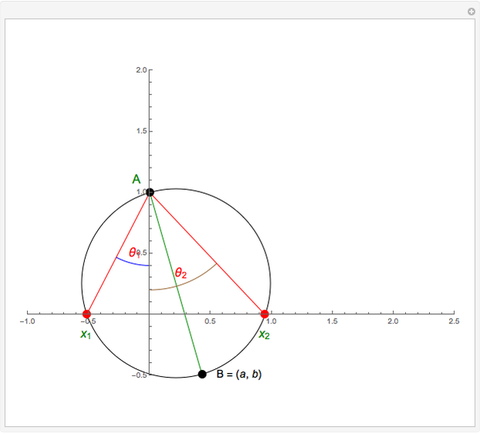 The points where this circle intersects the axis are the roots of the equation. 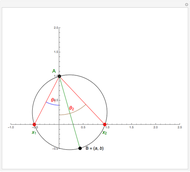 This follows directly from the trigonometric relations and . You can think of the graphics as the solution of the equation . Drag the black point to change the parameters and . J. H. Conway and R. K. Guy, The Book of Numbers, New York: Copernicus Books/Springer, 2006 pp. 192–193. 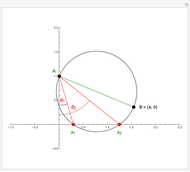 Izidor Hafner "Geometric Solution of a Quadratic Equation Using Carlyle's Circle"